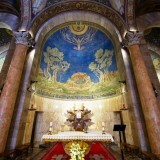 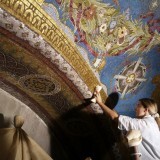 home / Multimedia / The Holy Land in news / The Church of Gethsemane can once again be seen in all its ..
After 18 months of works the Church of Gethsemane has recovered its former glory: the restoration of the precious mosaics has been completed, and the 5,000 pilgrims who each day visit the Church of the Agony in Jerusalem will once more be able to linger in the Church’s ancient aisles, immersed in a nocturnal setting intensified by these mosaics in which, against a dark blue background framed by olive branches, the starry sky lights up. 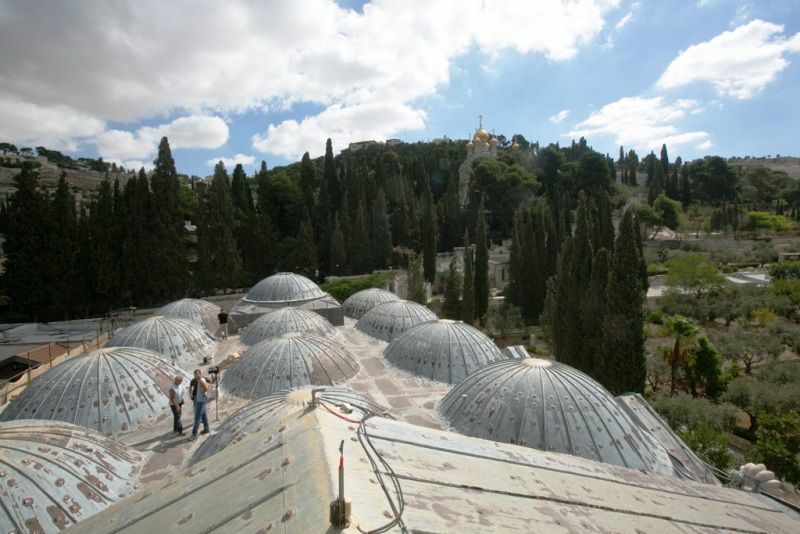 The large church with its twelve domes, designed by the architect Antonio Barluzzi and financed by contributions from various countries throughout the world (hence its name “Church of All Nations”), was completed in 1924 and up to now has not undergone any restoration. 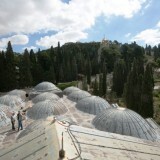 This, coupled with the fact that the signs of “aging” were especially apparent on the church’s domes, led the Custody of the Holy Land to undertake restoration work on what is one of Christianity’s most important sites, just a few steps from the sacred garden which evokes the nighttime scene of that Holy Thursday when, amongst the moonlit olive trees, Jesus suffered the agony and abandonment that was the will of the Father. 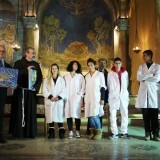 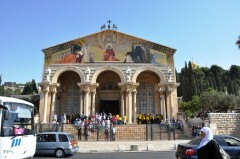 “The Franciscans could have given the project to foreign experts”, says Carla Benelli who is in charge of the cultural projects of ATS pro Terra Sancta, “but they chose to invest in the training of young local Palestinians.” Six youths from East Jerusalem, five of them Muslim, were guided throughout these months by two instructors from the Mosaic Centre of Jericho. 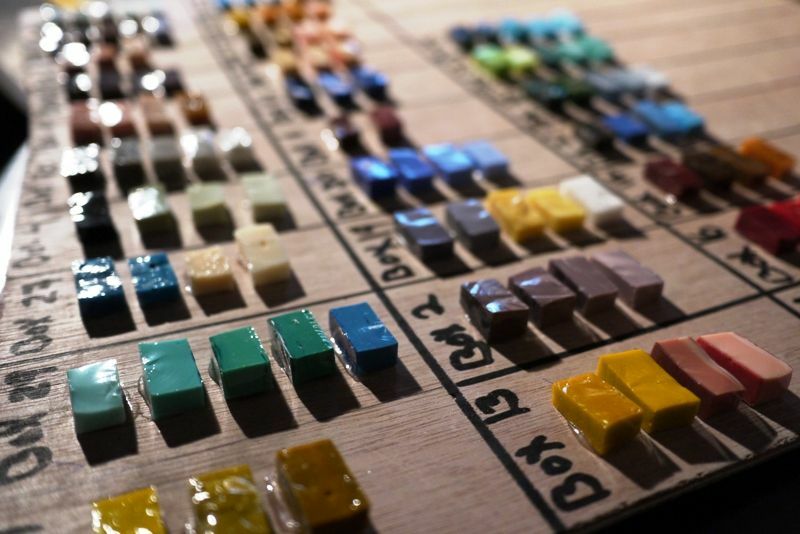 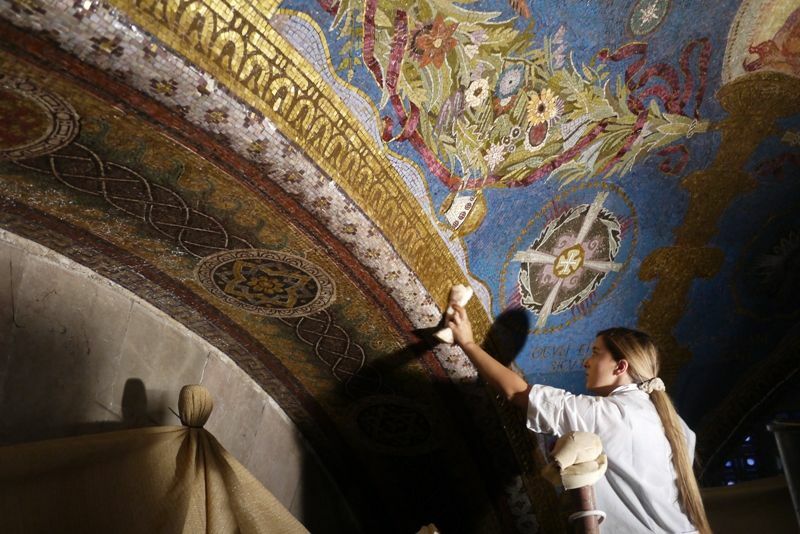 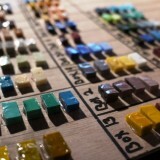 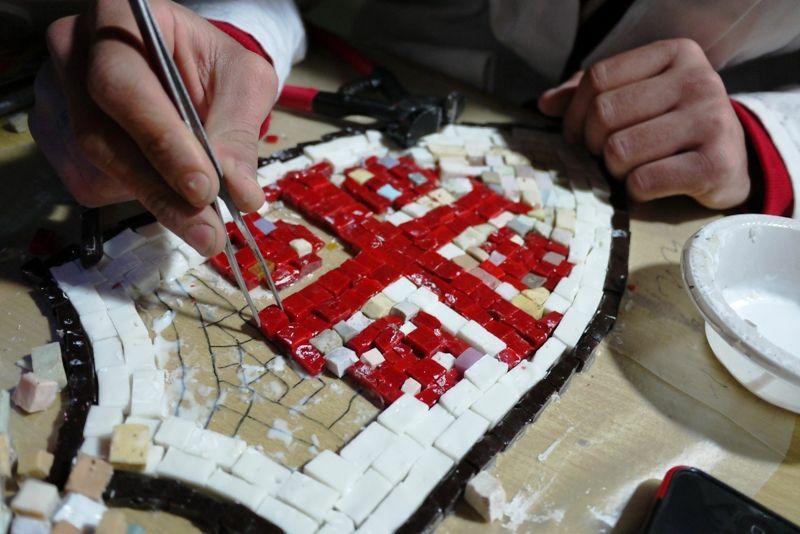 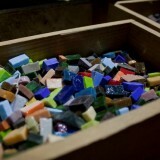 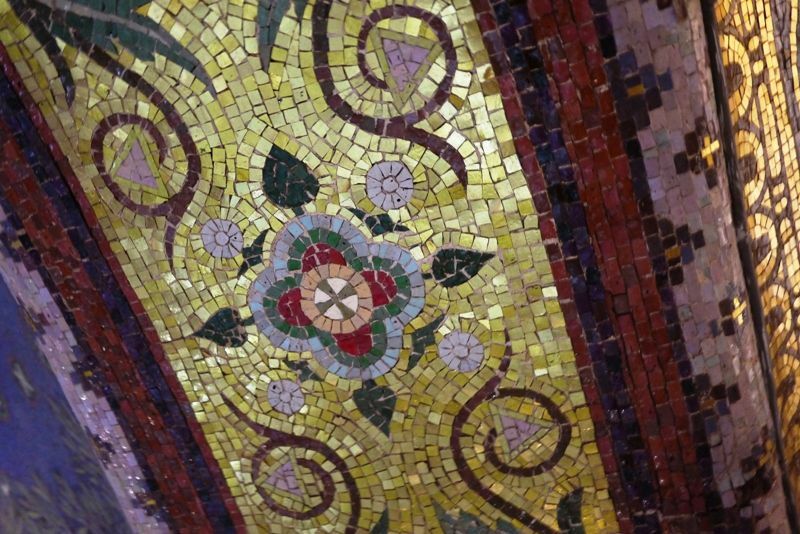 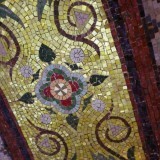 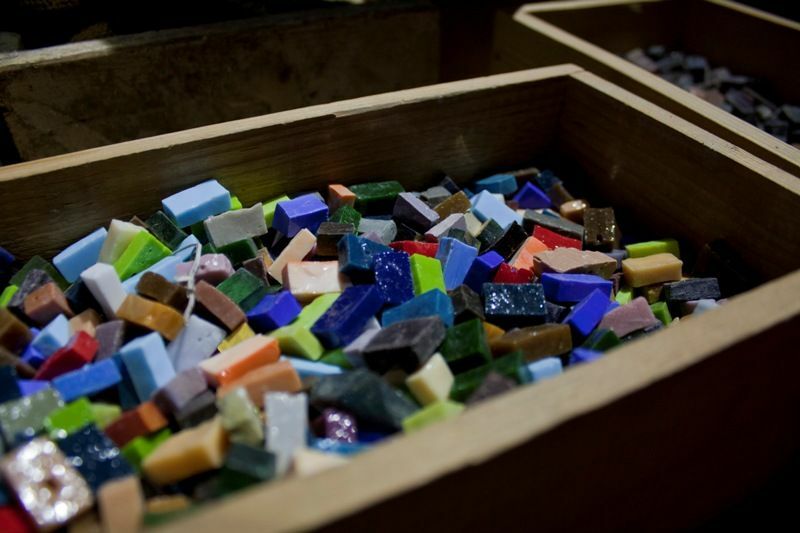 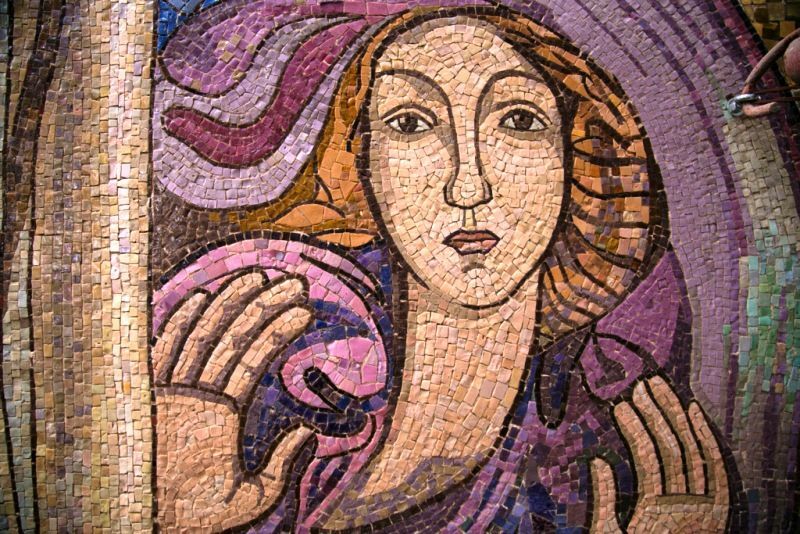 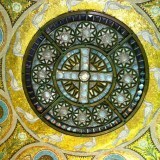 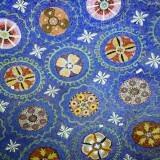 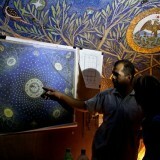 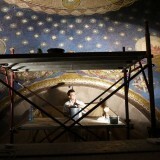 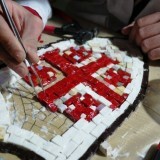 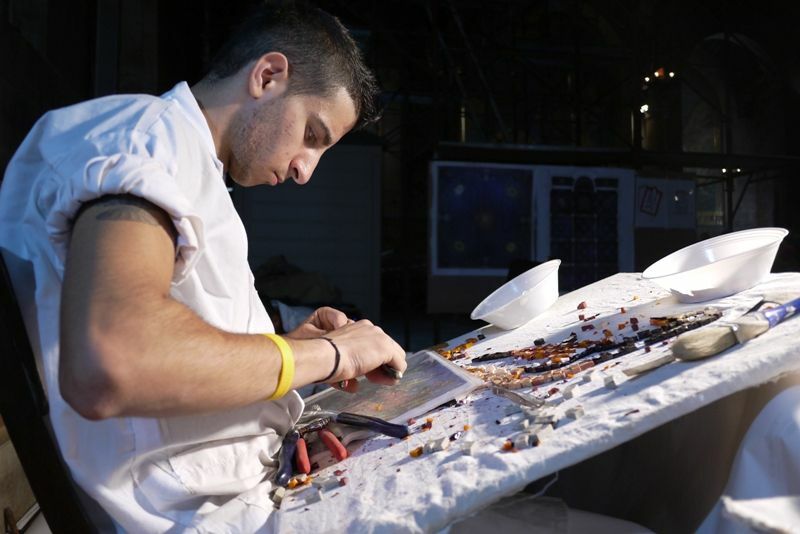 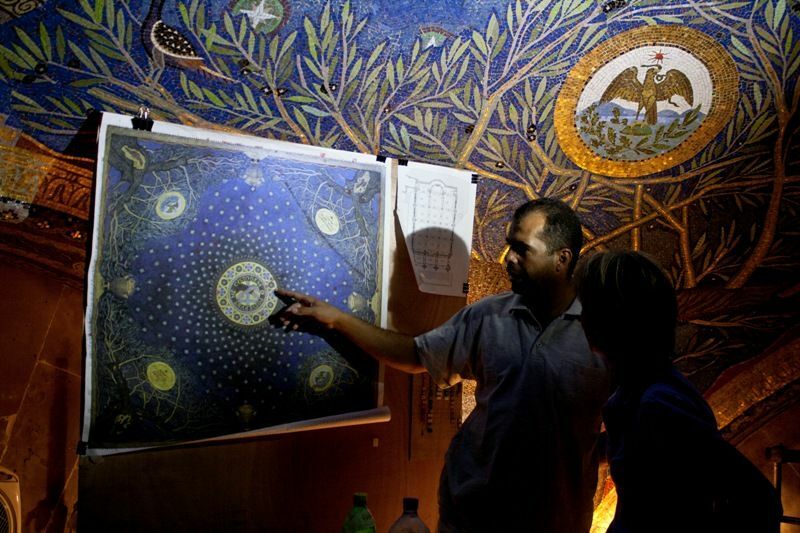 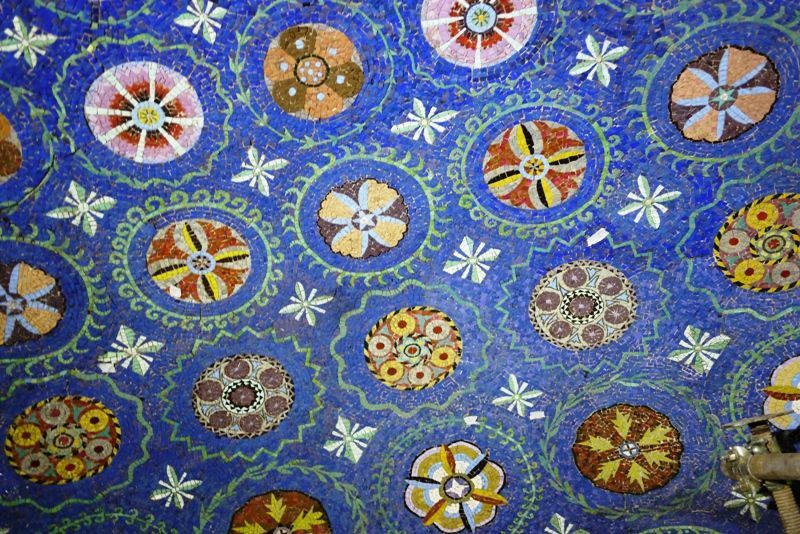 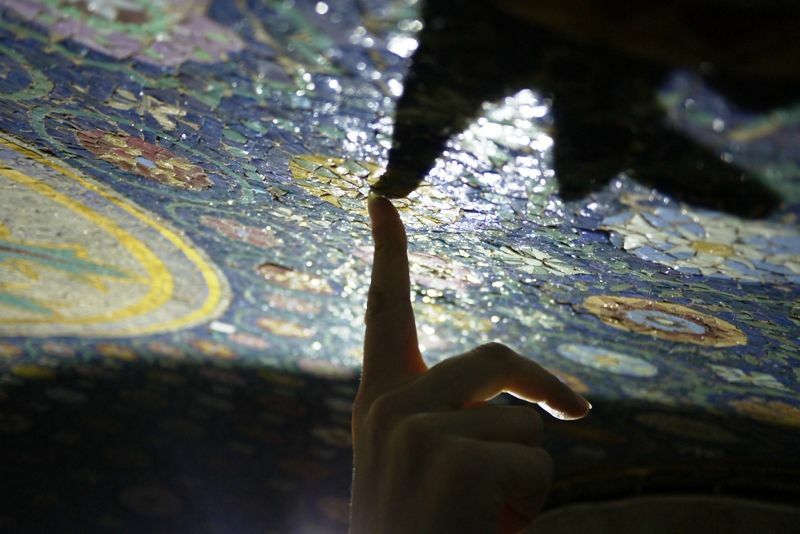 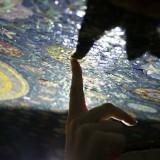 And in this manner they were able to learn how to work on mosaics of great artistic value. 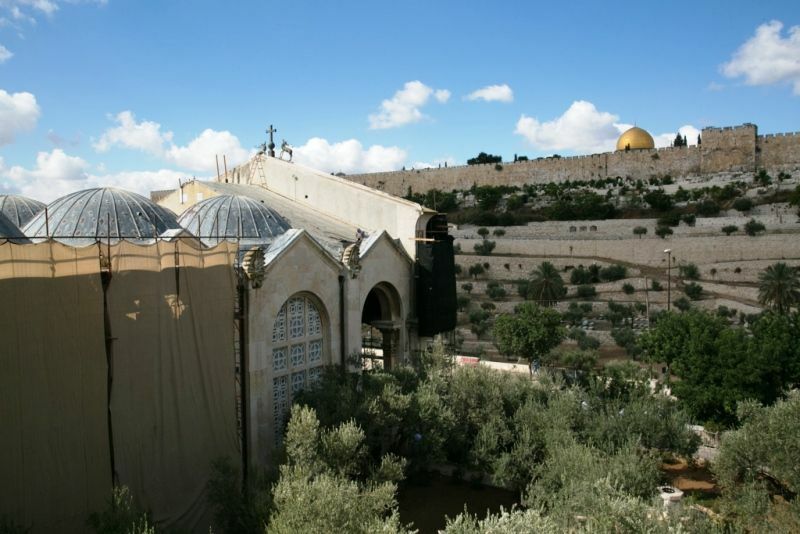 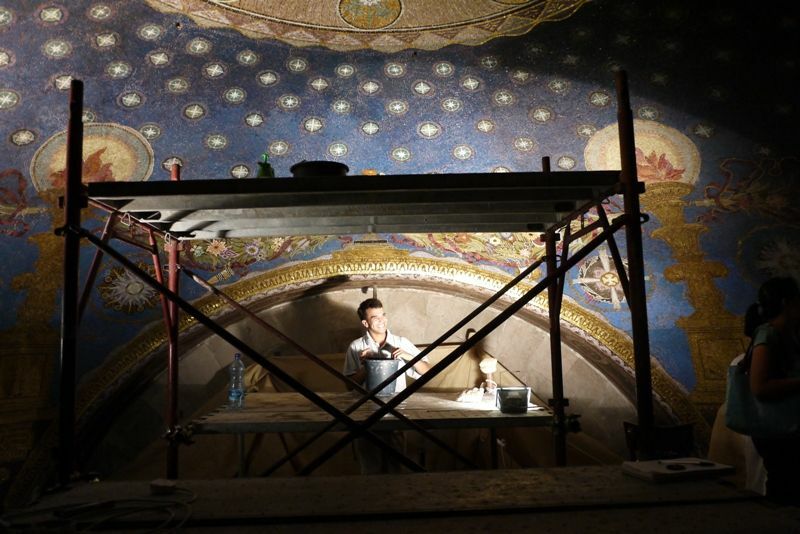 According to Benelli, “entrusting the project for the restoration of the church next to the Garden of Olives to a group of young Muslims was a challenging task, and they are very grateful and proud to have been able to participate in this restoration project”. 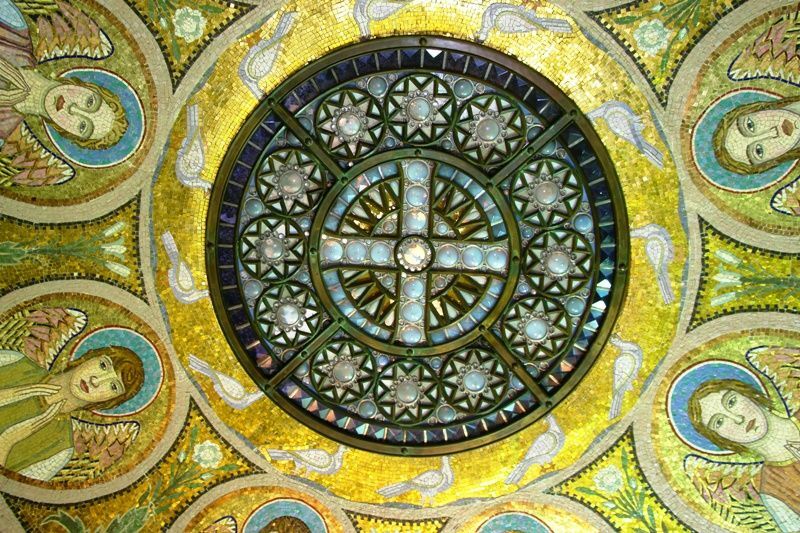 It is not only time that has left its mark on the church, recent history has too. 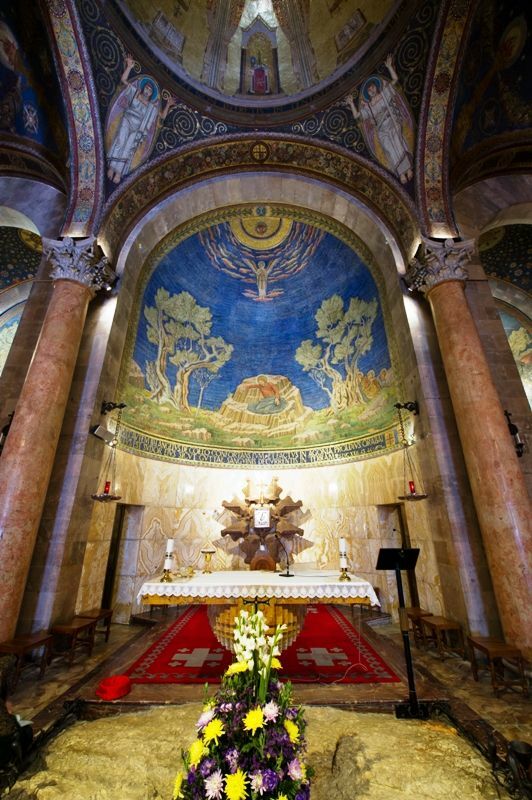 The splendid mosaic depicting Jesus as mediator between God and humanity that adorns the tympanum still bears the marks of the bullets which hit the façade during the Six Day War in 1967. 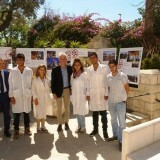 The project was supported by the Palestinian Municipalities Support Program (PMSP) of the Italian Consulate General in Jerusalem, the Municipality of Rovereto in Italy, the Opera Campana dei Caduti Foundation, and the Fondazione Cassa di Risparmio di Trento e Rovereto (Savings Bank of Trento and Rovereto). 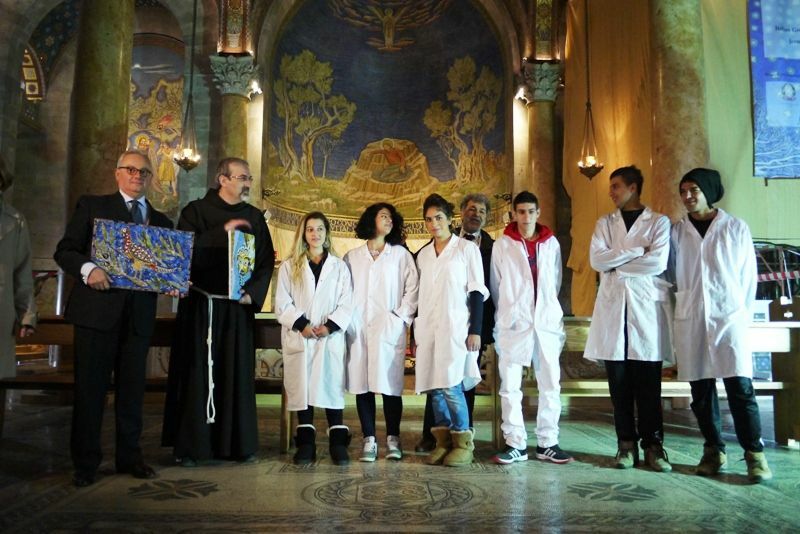 Father Pierbattista Pizzaballa, Custos of the Holy Land and President of ATS pro Terrra Sancta, has on numerous occasions stressed the importance and educational value of this project. 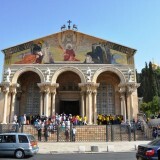 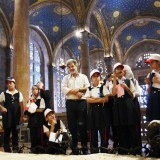 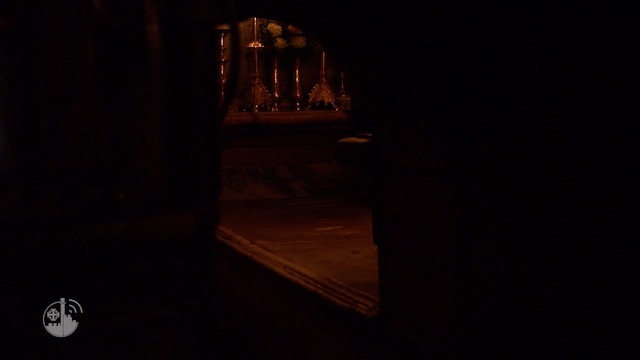 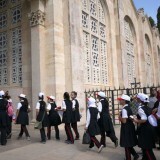 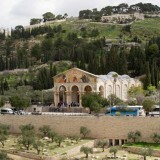 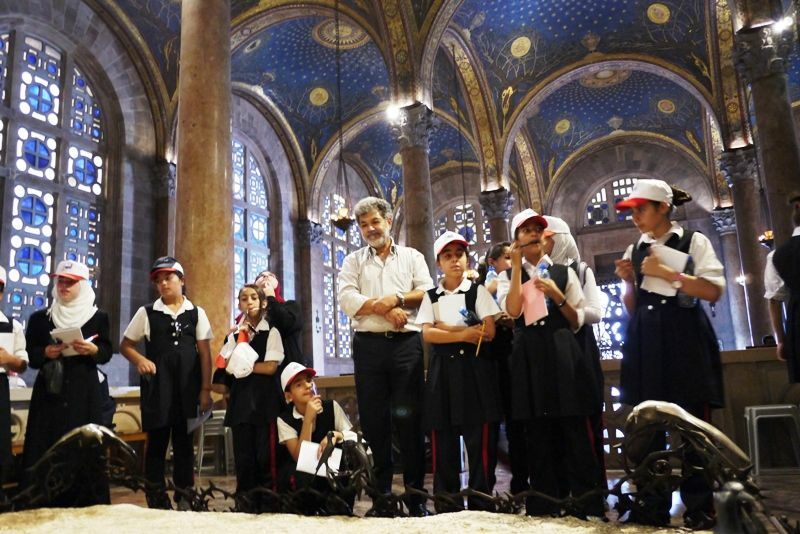 More than a thousand children from Jerusalem between the ages of eight and twelve have come during these months to visit the church, which was specially opened for them during normal closing hours, between noon and two. 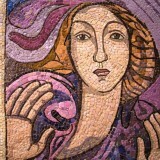 Many had not previously been aware of this heritage of humanity, known to and venerated by more than a billion people. 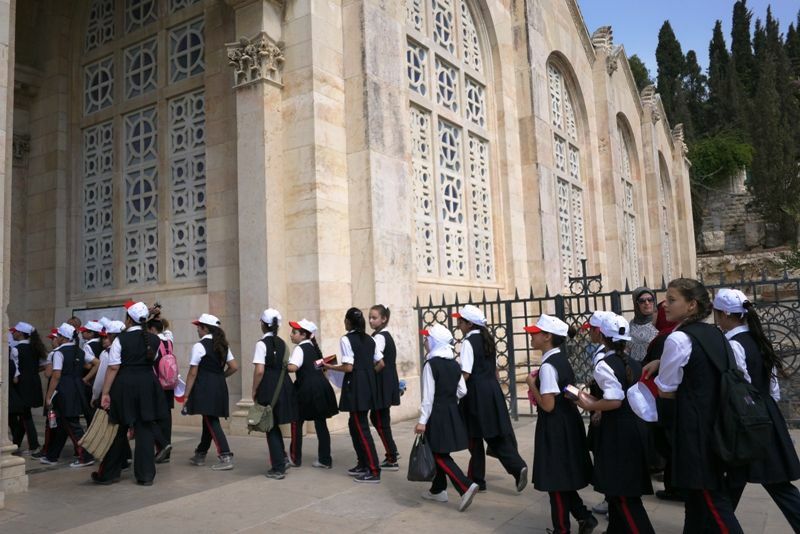 “When they go to school in the morning, the children see rows of coaches lining up to let pilgrims off and they ask what is so special there”. 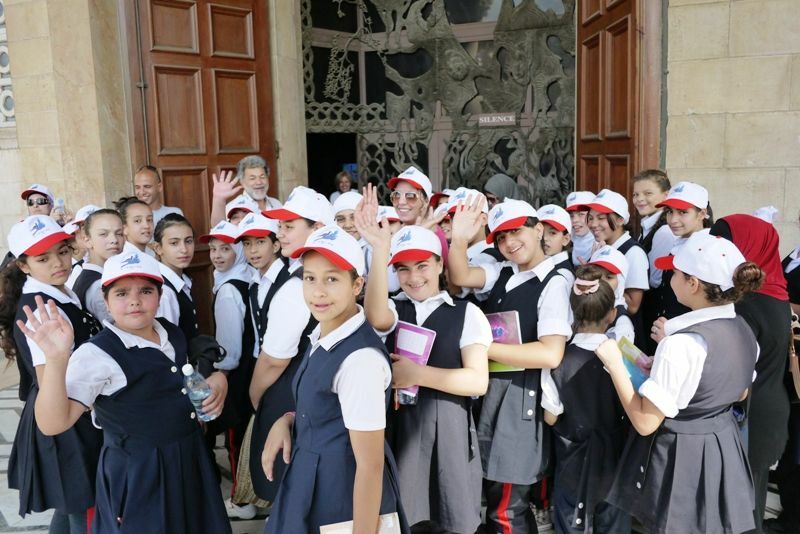 So the Franciscans decided to encourage school visits so that the young inheritors of this legacy could learn about a church that also belongs to them, Muslim and Christian children. 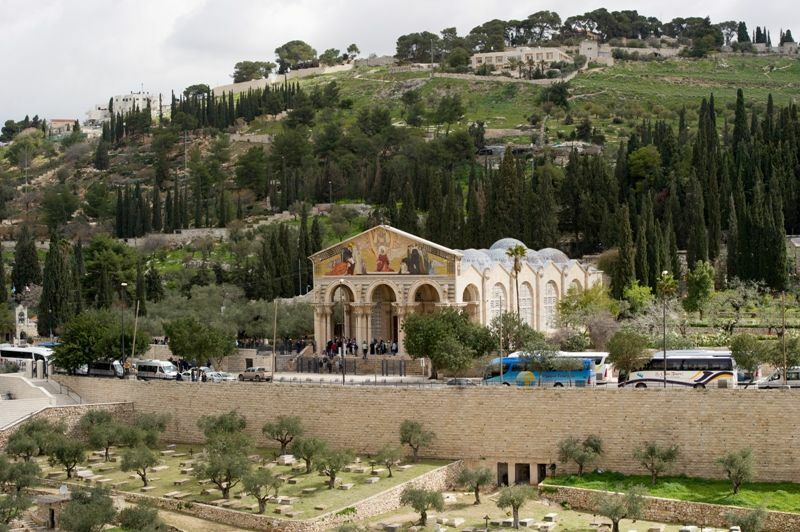 “Most of the time they are shocked to discover they live so close to such a beautiful place, in the heart of East Jerusalem.” They would never have imagined this. 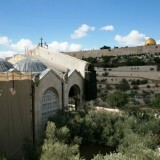 So much so that at the end of one tour a young Muslim girl asked the friars “Can I come back with my parents?”.